Back in 2009 I kept a diary of my Japan Lean Experience and I recall that on our 4th day on the road, and after another great lunch at the Gozarase restaurant we travelled for about an hour to Ena-shi Gifuken, the home of Tokai-Shin-ei Electronics. 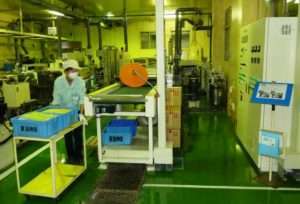 Tokai-Shin-ei design and manufacture printed circuit boards their factory is located in a small town in the foothills of the central ranges around Nagoya. Tokai-Shin-ei ‘s long standing President, Yoshihito Takanaka, gave the initial presentation; he informed us of his corporate philosophy, based on self discipline, employee involvement through Kaizen and a focus on customer value through Total Quality Management primciples. 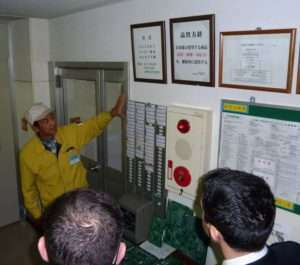 During the Gemba tour it was fascinating, to see the high levels of workplace organisation and cleanliness. 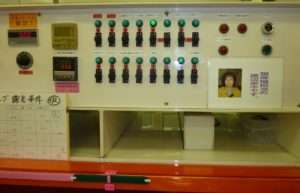 The 5S program was adopted in the early nineties, as part of Takanaka’s unique philosophy of developing self discipline across the entire work force which encouraged and sustained a highly clean and organized workplace. TSK’s market is extremely competitive, and due to its remote location, they had focused on minimizing operating costs, by carefully maintaining and even improving the plant and equipment, to maximize the investment. The adoption of Autonomous Maintenance (TPM) has enabled machinery to last well beyond the normal expectations, hence maximizing the assets and return on capital. One particular example highlighted during the tour was of a 19 year old machine, which has a normal life expectancy of 5 years! The overwhelming impression of TSK is that of a dedication to Kaizen, they truly believe that everyone has a part to play in improving the operation for their customers on a daily basis. It is also important to remember that employing just over 100 people in this small town is a significant factor, they seemed proud of being able to withstand the years of fierce competition with one of the best reputations for quality and reliability. 5S is certainly a major contributing factor, and without doubt some of the best examples that you will ever see. This must see factory is an absolute highlight, and we are hoping to include a visit in our 2018 Japan Lean Experience tour! S A Partners will be running a one week study tour to Japan next April.